A.B. 'Banjo' Paterson is rightly recognised as Australia's greatest storyteller and most celebrated poet, the boy from the bush who became the voice of a generation. He gave the nation its unofficial national anthem 'Waltzing Matilda' and treasured ballads such as 'The Man from Snowy River' and 'Clancy of the Overflow', vivid creations that helped to define Australia's national identity. 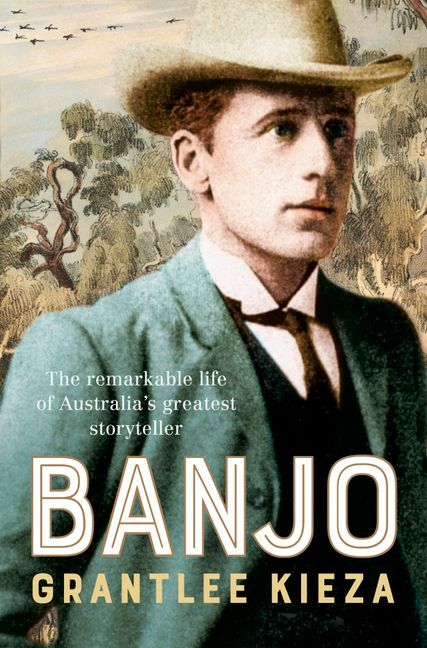 But there is more, much more to Banjo's story, and in this landmark biography, award-winning writer Grantlee Kieza chronicles a rich and varied life, one that straddled two centuries and saw Australia transform from a far-flung colony to a fully fledged nation. Born in the bush, as a boy Banjo rode his pony to a one-room school along a trail frequented by outlaw Ben Hall. As a young man he befriended Breaker Morant, and covered the second Boer War as a reporter. He fudged his age to enlist during World War I, ultimately driving an ambulance before commanding a horse training unit during that conflict. Newspaper editor, columnist, foreign correspondent and ABC broadcaster, he knew countless luminaries of his time, including Rudyard Kipling, Winston Churchill, Field Marshal Haig and Henry Lawson. The tennis ace, notorious ladies' man, brilliant jockey and celebrated polo player was an eye-witness to countless key moments in Australian history, and saw Carbine and Phar Lap race. Award-winning journalist Grantlee Kieza has held senior editorial positions at The Daily Telegraph, The Sunday Telegraph and The Courier-Mail. He is a Walkley Award finalist and the author of twelve acclaimed books, including the recent bestsellers Banjo, Mrs Kelly, Monash, Sons of the Southern Cross and Bert Hinkler.